Various ideas were proposed in designing and developing the bio-inspired robot legged robot and its control system. Researchers may confront numerous challenges in designing control architecture of the legged robot, especially in controlling leg position. As the leg and joints number increases, the complexity of the multi-limbed system will increase. Thus, robust control is needed. For the case of motion precision in a legged robot, position control is essential to cater fast response of the angular motion during locomotion. Therefore, this paper presents a modification on hybrid Proportional Integral with the antiwindup algorithm and Fuzzy Logic Control (PIA-FLC) with an external derivative element named as PIA-FLC-D to improve the speed of controller response for Hexaquad robot leg’s joints. The proposed PIA-FLC-D control is validated on the first leg of Hexaquad robot, and the results were analyzed and compared with the previous PIA-FLC. The results show that the proposed PIA-FLC-D control had enhanced the performance of angular joint precision with fast response and minimal delay in each leg’s joint motion tracking compares to the previous PIA-FLC controller. 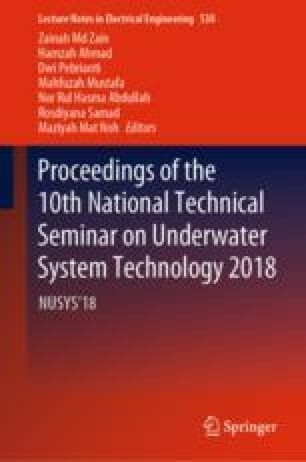 This research and development are supported by the Ministry of Higher Education Malaysia under the Fundamental Research Grant Scheme (FRGS) (Grant No. FRGS/1/2016/TK04/UMP/02/9) and Universiti Malaysia Pahang (UMP) Research Grant (RDU160147).